Super light super strong round point shovel. 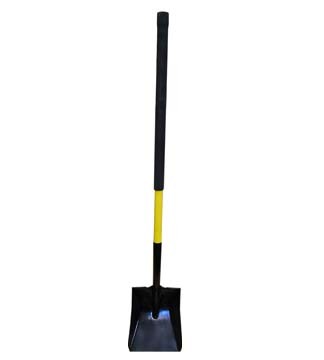 27 or 55 inches in length with ramin filled fiberglass handle and 14 gauge steel shovel head. Welded seems for added strength - a first by a shovel manufacturer! 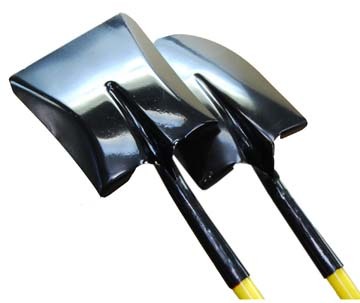 Super light and super strong square shovel. 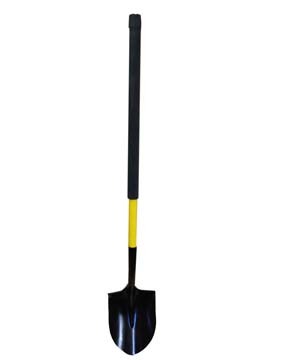 27 or 55 inches in length with ramin filled fiberglass handle and 14 gauge steel shovel head. Welded seems for added strength - a first by a shovel manufacturer! 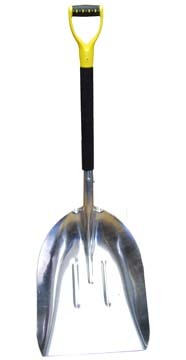 Super light and super strong aluminum scoop shovel. 46 inch in length with ramin filled fiberglass handle with non-slip D-handle.